In yesterday’s worship service two Buck Run Students teams were prayed for in preparation to head to spend their Fall Break serving our two church plants. 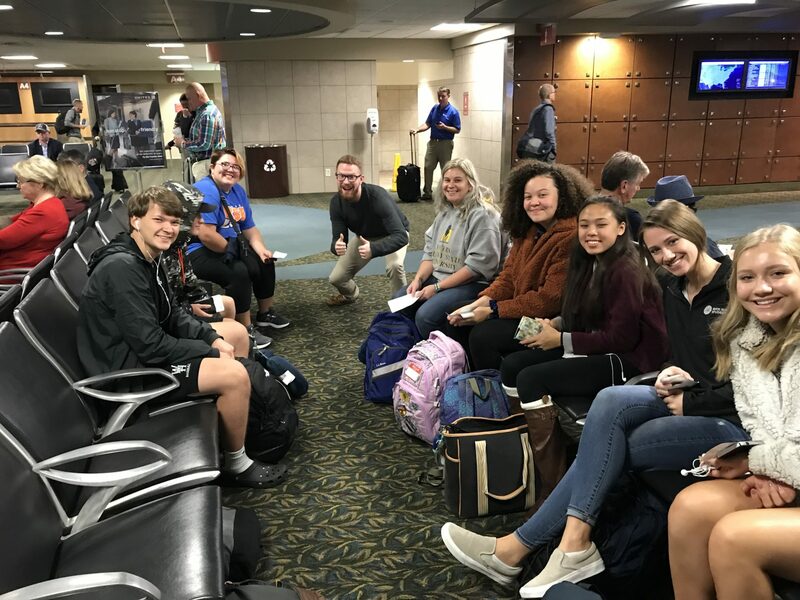 This morning the first team left at 4:00 am heading to San Francisco where they will partner with Brett and Patti Butler and their Sanctuary Bay church planting efforts. The team will spend time each morning in evangelism and church planting training and spend their afternoons and evenings putting their training to work in hopes of leading people to Christ and connecting them with a Sanctuary Bay house church. The week will culminate with a community movie outdoor night sponsored by Sanctuary Bay that the team will be inviting people to all week. The team will arrive back in Frankfort Sunday morning. The second team will leave tonight for Fort Collins where they will spend the week serving Zack and Jennifer Thurman and the rest of the Overland Church team. This team will help spread the word about the launch of Overland Church through canvassing, prayer walking, attending high school sporting events, and handing out coffee and water around town. This team will travel back early Saturday morning.